Recently, a few Church IT people in the Atlanta area had a local roundtable. One of the discussion topics was Dropbox alternatives. What we quickly discovered was that people had lots of different reasons for considering alternatives! 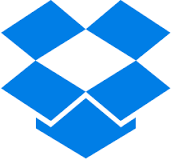 Why do people like Dropbox? Quite simply, it works and it’s easy to use. If you haven’t read this article from a few years back, written by a competitor, it’s worth your time. Some 20/20 Hindsight: Excellent lessons from Syncplicity vs. DropBox! So, given that it’s easy and it works, what are the issues that make people want to change? This is not the exact list from the CITRT conversation, it’s just a list for discussion. What are YOUR reasons for wanting to change? What have you found that meets your needs? Alternate question: how much of this need is a problem of users, or data usage, rather than of technology? If good security practices were followed, would most of the problems go away? This entry was posted in CITRT, UA, UX and tagged dropbox, owncloud on September 26, 2014 by Tony Dye.